Betty was chosen for the Model Call we had recently. Our stylists, Ally and Kaylee, came up with four different looks they wanted to do for the Model Call (you'll see more of those in the coming weeks). 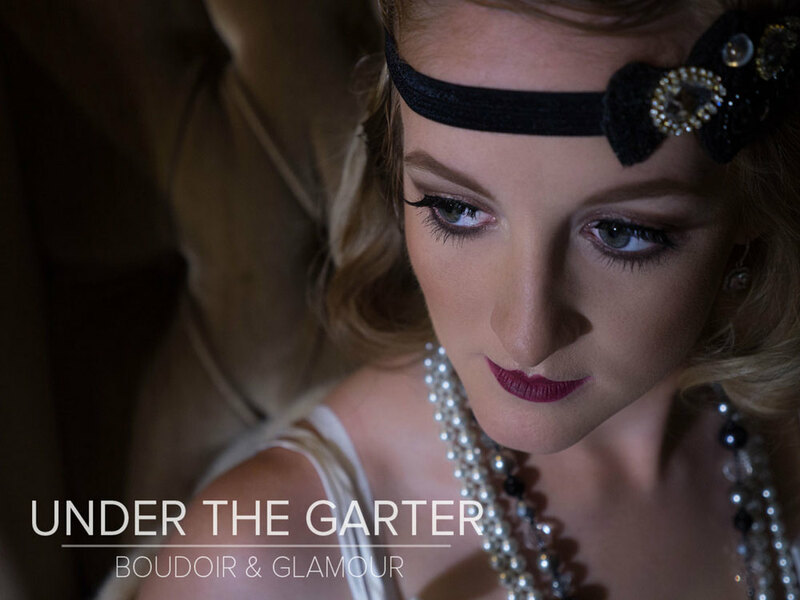 We knew Betty would be perfect for the 1920s look after finding out she had a 1920s themed wedding. Ray and I walked away for a few minutes to set up for the shoot and when we returned, we barely recognized Betty. She'd been transformed into a 1920s film star. Ally concealed Betty's lips and drew on the strong cupid's bow lip that was so popular during that time and gave her some dark, sultry eyes. Betty arrived with nearly waist-length hair that Kaylee quickly transformed into a wavy bob with finger waves. Kaylee made the beautiful hair piece. The pearls belong to Betty and the slip was a wedding gift from her grandmother. Betty was so much fun to work with. She was easy to pose and had a great sense of humor. We'd love to have her back in the studio for another look.